A Short Sale transaction is when a property is sold for less than the amount that is owed on a mortgage to a bank. Shelter Realty has a proven track record of specializing in Las Vegas short sales, and we’re very sensitive to the stress homeowners feel when they’re in a situation where they need to sell a home that is underwater. Talk with one of our Las Vegas Short Sale Agents today about your options before you decide to simply walk away. Whether you’re trying to decide between a loan modification, short sale or foreclosure, we’ll spend the necessary time examining your unique scenario so that you can make an informed decision. No pressure, we’re here to help. Paul Rowe made the process of selling the house one of the easiest things to do. Like many others in Las Vegas, I was upside down in my mortgage, had to move for my job and I was faced with a foreclosure. After calling Paul and filling out the initial paperwork, I didn’t have to do anything else. Both Paul and Amber took care of calling my mortgage company and negotiating the short sale. They listed the house and did all the legwork for me. A couple weeks later, they found a buyer and negotiated the price with both the buyer and my mortgage company. I never had to deal with the hassle of trying to find a person at the bank who cared enough to take care of my problems. In fact, after I first contacted Paul, I never spoke to the bank again. I simply went on with my life and once a deal was made; all I had to do was simply sign some papers and give them my keys. They turned the nightmare into a very simple and easy process. I highly recommend them if you’re looking to sell or short sell your house. Thanks again Paul and Amber for all your help! Please accept this letter as both a thank you and a testimonial as to the handling of our short sale. We, like many people in Las Vegas, felt overwhelmed by our circumstances with the decline in value of our home. We needed to move out of state to seek work and could not, in good conscience, abandon our home. I Googled your agency and found you….I could not be happier today. Through the process of the short sale, you and your team, advised me along the way of the process and really prevented any more financial loss, just through a few short telephone conversations. After our home was listed and had a viable offer, we were in contact quite often with you and your team. Not only did you give great professional advice, but you all were a shoulder to cry on when I was very uncertain. I would refer your services to ANYONE I know and I have subsequently referred our friends to you for your services…they just completed their final steps to a successful short sale with your team, as well. I never once felt the need to hire legal help because I knew the professionalism and the caliber of the people I had in place to help me with the short sale was more than enough. I cannot thank you enough for the burden you have helped me lift from my shoulders, you offer an invaluable service and I am forever grateful for the manner in which you and your team dealt with me and my sold home! Paul Rowe has helped me a lot to short sale my rental property in Las Vegas. He has explained to me in detail about the short sale processes, compared to foreclosure and what to expect and how to deal with the problem that may encounter. 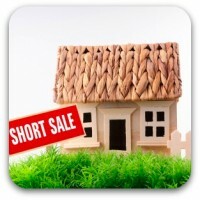 Short sale is the right solution for my situation. He has provided me with excellent guidance and with professionalism such as how to write a hardship letter. For every problem that came up, I could always rely on him for help and how to deal with it especially with the bank and with the HOA. For example, I had an HOA due of about $1,500 which I had to pay but he had negotiated so that the buyer would pay for us. I’m very satisfied with the overall process of short sale with him. The transaction is successful and I had got rid of the property and the mortgage. I very much appreciate and thank him for his help and I would recommend anybody to him and his team for Short sale or any other real estate transaction.